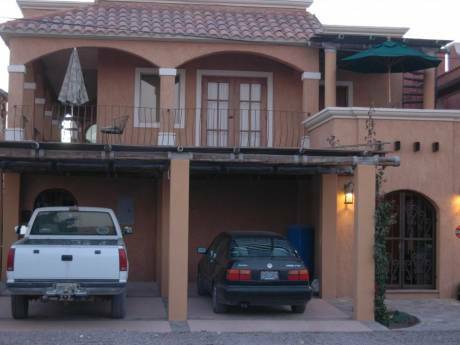 Casa Cabo is located in the Marina Sol condominium complex, walking distance to all of Cabo San Lucas, Baja Sur, Mexico. I often breakfast at famous Medano beach and view the cruise ships in the Bay while enjoying the freshest foods, a signature of Mexico. There are so many restaurants to choose from, usually within the gorgeous resorts all around the neighborhood. Cabo Bay is famous for all water activities...diving, jet skiing, Stand Up Paddle, para-sailing, and only a short 2 block walk from Casa Cabo. The circular design of Marina Sol, with a large swimming pool, jacuzzi and restaurant at it's center, is full of lush gardens, and a quiet island in the excitement of Cabo all around. At night the clubs rock-on until dawn, and are all walking distance from Casa Cabo, so you can party and not drive! The yachts in the marina, the mansions in the surrounding mountains, the resort crowd and the hip locals, all melt into Cabo at night, making it the fun-filled destination known throughout the world. The weather in Cabo is perfect. Waking up every day to blue skies, a light wind and temperatures from 70's F (21-23 C) at night to 80's F (24-26 C) during the day, 10 months a year makes every day and bright and easy. (Aug and Sept get 10 degrees hotter and wetter). I am an American woman who has permanently migrated to Baja Sur, Mexico. I have published some local magazines over the past 13 years, with the largest Destino Los Cabos. I have had the opportunity to travel Baja Sur and experience the adventures and wonderful people in this remote Mexican State and after 13 years still have many more things to do. The beauty of Baja caught my heart and I am sure any visitor to Casa Cabo will fall in love with the area. 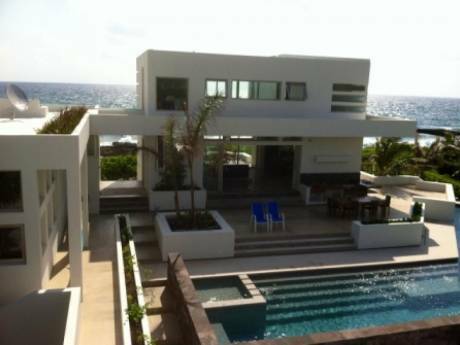 Casa Cabo is a vacation property so available to exchange anytime it is available. Cabo San Lucas is all the media describes...glamourous, movie star haven, super bowl of Marlin fishing, very fun and varied night life, yacht destination, adventures...aquatic and off-road, romance with weddings all around, and the best weather found anywhere on the planet. Located just south of the Tropic of Cancer, palms and flowers blend with cactus of all varieties in the high desert typography. The skies are so clear from no pollution, that the star, comet, asteroid events are astonishing in their clarity. Within 2 blocks from the condo is a luxury shopping mall, with Harley motorcycle bar, next to Starbucks, next to Mexican craft stores, next to Hard Rock Cafe and night clubs like Cabo Wabo. All surrounding an exclusive marina with yachts and fishing vessels from around the world. The historic area of Cabo has a museum, art galleries, boutique hotels and regular music events in the park. Beyond the famous Cabo archs, to the greater Pacific, you'll find fabulous whale watching December - March, and the best sport fishing and daily tours. A new Polo field with regular events just opened offering another option to the designer golf courses and the 36 five start resorts within 20 minutes of Casa Cabo. Uncrowded surf points within 10-30 minutes of Cabo attract surfers from around the world.